Gain your TESOL qualification from Global English, one of the most established, accredited online TESOL providers in the UK. Offering expert courses with tutorial support and feedback second to none. Recommended for Japan: our 100 hour level 2 TESOL with business specialism. Find out more and get started today. TEFL Online, offered by the University of Toronto and Teach Away Inc., is a 100-hour certification and the world’s first mobile-accessible TEFL course. Course units are 100% online and can be completed at any pace. TEFL Online uses a curriculum designed by experts from the Ontario Institute for Studies in Education at the University of Toronto, one of the world’s most highly ranked universities. 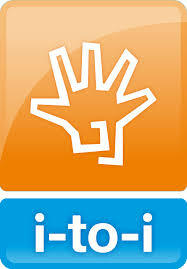 The world’s leading TEFL course provider, i-to-i TEFL has trained more than 127,000 people in the last 18 years. With more than 250 years of combined TEFL experience across our staff, tutors and TEFL academics, i-to-i TEFL offers you world renowned training that you can take in a style that suits you – either face-to-face training in the classroom, distance learning online or a combination of the two! BridgeTEFL is the largest provider of TEFL courses in the United States. We offer a wide variety of TEFL programs and each year we prepare hundreds of students to teach English overseas. With over 20 years training students and teachers worldwide, BridgeTEFL is an established leader in the language training industry. Our staff, programs, facilities and network of global contacts are top-notch because language training is our business-and has been for over two decades.